The season for the Spring Championship of Online Poker (SCOOP) is here and the series of tournaments begin in a couple of weeks. Online poker fans and the poker fraternity in general is eager to see this year’s winner. Last year, Jason Mercier, an American, won the 138-tournament championship. What’s the excitement surrounding SCOOP? When it began some 8yrs ago, SCOOP played second fiddle to the World Championship of Online Poker (WCOOP) in the field of online poker competitions, and now tables have turned, placing SCOOP on the forefront. Looking at the various online poker tournaments held annually, SCOOP leads the pack as the largest of all. The SCOOP festival is set to hold 165 tournaments this year. To get to that number, consider that SCOOP, as a matter of routine, splits each event into three distinct tournaments, namely, the low; the medium and the high buy-ins. When the events in the schedule are 55, as they are this year, the number of distinct tournaments becomes 165, which is simply 55 multiplied by 3. That means the poker fraternity has a lot more activity to enjoy this year than last year, when the events were 46. Is the money worth the size of SCOOP? Any serious poker player would cherish the chance to play in SCOOP, whether they are professional poker players or just ordinary poker players who love the game. The prize money is the largest being put on the table, in comparison to all other tournaments of this year. The total amount guaranteed in the prize pool is in excess of $40 million! And to water each player’s mouth, the High Main Event promises the first prize to be a clean $1 million! When are the actual SCOOP dates? The events of this online poker tournament that has drawn the attention of many in the world of poker are set to commence on May 8th. They will then continue every day onwards up to 22nd May. On the poker tournament’s opening day, poker fans will be treated to five events and of all those, four will fall under the category of No-Limit Hold’em. The variations then become broader as the poker tournament progresses in subsequent days. In short, whatever a poker player enjoys to play and whatever each competitor feels most competent in, SCOOP provides something to suit every participant. This season when SCOOP is held happens to be spring. And knowing how favorable the weather is during spring, there is little activity taking place indoors as everyone wants to be out doing activities they are unable to do in the cold. So, poker enthusiasts are excited that SCOOP fills the void, keeping the poker field alive and the pockets of lucky poker players well lined. Looking at the amounts earned by poker competitors during SCOOP festivals and matching them with the competitors’ respective countries, it is clear that the tournament that is yet to hit a decade has attracted poker players across the world. Since its inaugural tournament back in 2009, accumulated winnings from the poker tournament puts Canada in the lead at almost $62 million. UK follows closely at almost $51 million. The gap then widens a little, with Germany coming third at around $28 million. Other countries whose winnings in the SCOOP tournament come close to Germany, courtesy of their respective poker competitors, include the US, Russia and Mexico, with their earnings being around $28 million, $27 million and 23 million respectively. With such monies getting into the various economies, it is evident that the impact of SCOOP goes beyond the realm of fun. 20th April saw Justin Young beat Garrett Greer, to become the champion in the World Poker Tour (WPT) Seminole Hard Rock Poker Showdown, which was held in the city of Hollywood in Florida. The odds did not seem favorable for Young in the beginning, and it was not lost on fans that he had lost a WPT final table not so long before. On top of it, he found himself playing in a table of ten instead of the anticipated six. Circumstances were beyond his control when, on Wednesday, instead of the event starting with a six handed WPT table as the final is officially meant to have, ten players showed up. And even then, Young did not rank well in terms of chips, as he was in the lower half of the list of ten. The poker player who began with the highest chips advantage at that final table was Hyoung Chae, who had over 6.2 million chips. Others who beat Young in chips count as the poker event began included Tim Reilly; Ben Tarzia; and Matt Haugen. Another oddity of the day was that Young lagged in chips count together with other respected poker players like Cate Hall and Garrett Greer. Possibly that mix of line-up contributed to making the final table play even more interesting. Within 4hrs and having taken just eight hands into the play for the day, William Foxen was taken out by Reilly. To be eliminated next from this interesting poker event was Hall, and so he held 9th position, after being eliminated by Soverel. However, it was not all disappointing for this avid poker player who has stood well in a men-dominated arena, as she took away a respectable sum of $65,404 as her prize. After Hall left the table, the game calmed down a little, with the remaining poker competitors playing cautiously in a bid to remain seated amongst the last six, a prestigious place to be in a poker tournament as big as the WPT. The poker games involving the final six are normally broadcast on Live TV where millions of poker lovers get to enjoy the game and route for favorites. The game of poker is, definitely, not easy to predict with certainty. Next to leave the poker table was Plotnikov and then Soverel, and that was after the brief period of calm. The poker player who eliminated Plotnikov was Chae and the one who knocked off Soverel was Tarzia. Play and eliminations continued with enthusiasm, and soon Haugen was leading the pack, with other players like Chae and Tarzia giving him a run for his money. Young, too, was in hot pursuit. It was a tantalizing game of poker, as Chae took the lead in the official final table’s first hand. All the participants made the event highly vibrant, and at the 26th hand, Young took the lead. He got poker fans glued to the play as he held this lead up to the 50th hand and beyond. Signs of the game advancing to its final stage became evident when Young, in his great poker play of the day, eliminated Haugen. Greer and Chae seemed to size up each other in their play, although it soon began to appear like Chae had an edge. However, the tables seemed to turn against Chae as he lost a sizeable amount of chips in the hands of Greer. Finally, it was Young who got rid of Chae in this tantalizing part of the poker event, on the 150th hand. From this point henceforth, Young dominated the game and beat Greer to take the championship in this much watched poker tournament. For US poker enthusiasts, things are bound to change for the better on March 21. About 4yrs ago, the spirit of poker lovers in the US was dampened from what came to be known as Black Friday. The date was April 15, 2011 when many online poker players were shocked to find that they could not play on their favorite sites. Three of the major online poker sites were closed – PokerStars; Cereus Poker Network; and also Full Tilt Poker. Cereus Poker Network comprised Absolute Poker as well as Ultimate Bet. A good number of online poker players instantly lost their source of livelihood. High stake poker players were particularly devastated by the high level of risk this move portended for their funds. What Exactly Happened On Black Friday? The three online poker sites cited above were closed without prior warning to regular online visitors, courtesy of the Department of Justice. It was alleged that the sites may have been facilitating criminal activity and baiting unsuspecting online poker players. 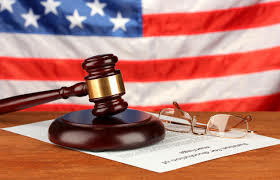 What followed was a suit at the federal court, U.S. v. Scheinberg et al, and as the case dragged on, only PokerStars managed to pay its US poker players quickly and in total. The other two poker sites did not hasten to pay up, but word has it that Full Tilt Poker finally paid up a good number of their players. However, poker players on Absolute Poker and Ultimate Bet were not as lucky. Apparently, their funds are still unpaid to-date. Incidentally, when it comes to funds deposited as well as unpaid earnings, such sites owe online poker players millions of dollars in their hundreds. On March 21st, New Jersey will mark the comeback of PokerStars to the US market. It is the place where the world famous poker hosting site will open its first poker room in the country since the infamous Black Friday. According to ABC News, on re-entry into the local market, PokerStar’s activities are going to be well regulated. The announcement of PokerStar’s comeback has caused a big stir within the poker fraternity as well as on the corridors of the US treasury. Poker fans and other concerned parties are curious to see what impact the poker hosting site is going to have, particularly in the state of New Jersey, where it is set to open its doors in just a couple of days. What impact is the re-entry of PokerStars into the market going to have on the state’s overall revenue collection? Will the site be a free for all? As per now, New Jersey earns around $2 million dollars from online poker every month on a consistent basis. So, very likely, the opening of the site on March 21st will have the impact of raising the revenue level for the state. Also considering that PokerStars is globally the most popular online poker operator, and that it has continued its operations in other parts of the world despite closing shop in the US for the last four years, it is likely that the operator will begin business in New Jersey on a high note. As for who is going to have access to New Jersey’s new site, stringent measures have been taken to ensure that the volume of activity at the site is built by residents of New Jersey alone. This move will ensure that no money is lost to outsiders by residents of New Jersey. As it is now, PokerStars is relying on its two partners for funding support – Borgata and also bwin.party. These two partners hold 50% shares. The rest of the shareholding belongs to Caesar’s and 888, another online operator.